What's On It: Black and blue fondue, shaved iceberg, and carmelized mushroom. 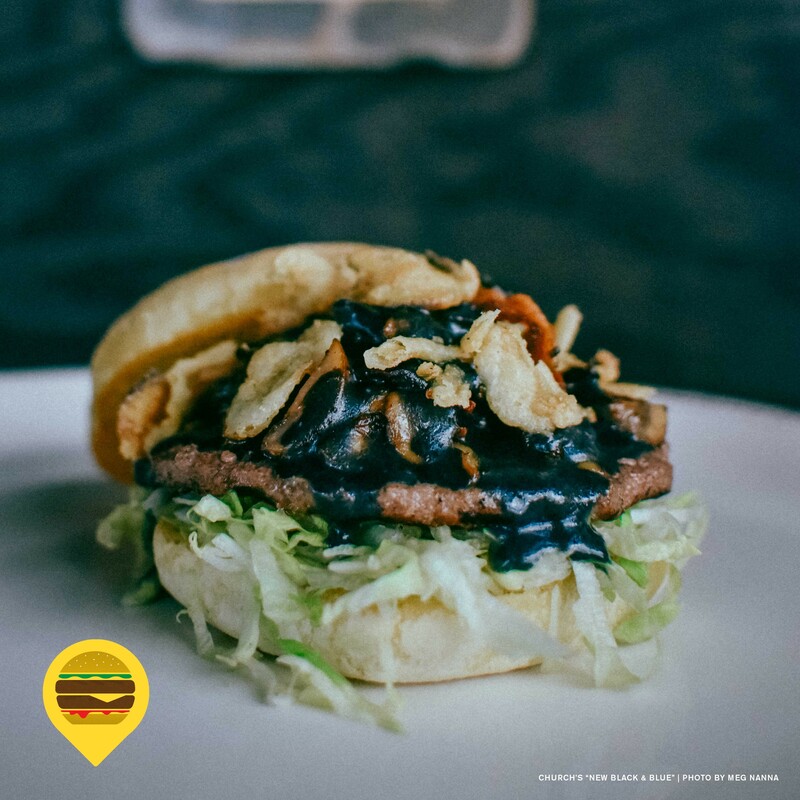 What They Say: "If you haven’t had a traditional black-and-blue burger, this is the one you want to start with. Chef Jake Enger is the mastermind behind this gothic beauty. First we sprinkle our housemade blackening spices on our chuck. Then we take our pork fat and caramelize mushrooms. Smother our burger in our gothic fondue (activated charcoal is the color, which also has some health benefits!) and top with our housemade, crispy fried onion straws."